The design of our mouthpieces is based on the traditional Viennese blank from the beginning of the 20th century. Many instrument makers where living at Vienna in the time of Austrian Monarchy and some brilliant craftsmen are still influencing our products. 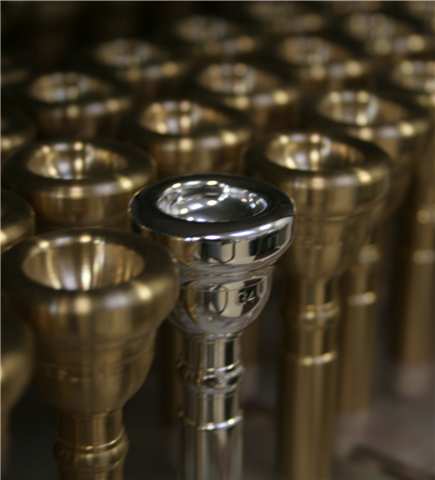 As the traditional valve concept at that time was the rotary system we still offer a great variety of models suitable for the classic trumpet used in Symphonic Orchestras. Contact us for disposability of desired models. We produce just in time.